Foreign Waters: We’ve come a long way.. Finally we have made it out West. We are currently in California. 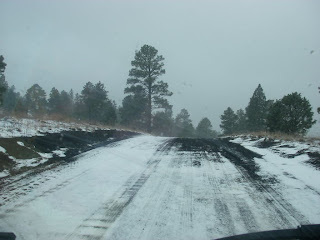 Since our last post we have traveled far and come through some extreme weather from High Winds, Lots of snow and now it is in the 100’s and really humid. 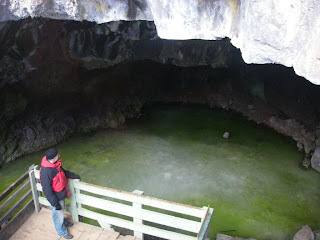 After Santa Fe we went to the Bandera Ice and Fire, a Ice cave and Volcano in one (it snowed heavily here). Then on to El Morro national monument which house huge cliffs covered in 1800 signatures of travelers who passed through and some petroglyphs of ancient Indians. 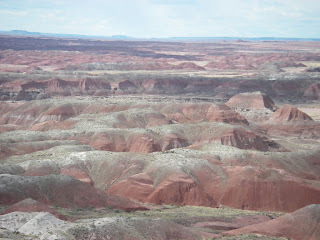 Crossing the border into Arizona, we headed into the Petrified Forest national Park. 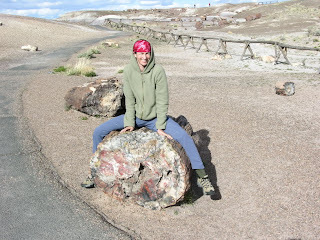 This is a park housing all the scared trees.. really though it is fallen trees which have become fossilized and full of spectacular minerals and colors. Yes we did all the above in one day. 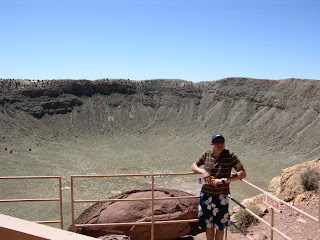 Then came tourist trap number 1 the meteor crater. Our first sting!! $15 got us a small view of a very large crater.. pretty cool place, but disappointing we couldn’t walk around more. 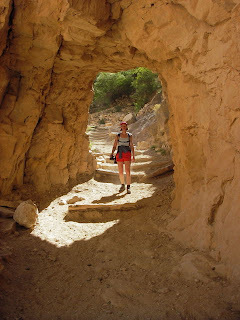 Next was Walnut Canyon.. a beautiful national park. 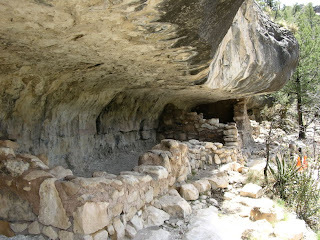 We were surprised to find steep canyon walls, tree lined and full of ancient Indian homes half way up the canyon walls. Truly amazing to think people actually lived and farmed here. 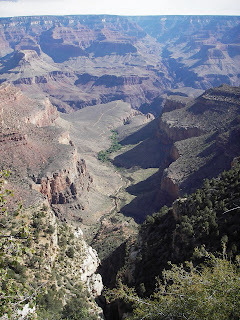 Grand Canyon was next on our list. Again yes we did this all in a day. 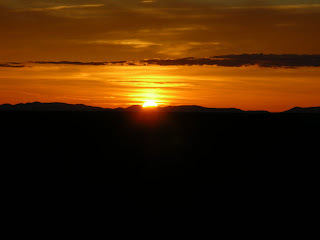 We arrived at the Grand Canyon National Park just in time to watch the Sunset over the Canyon. 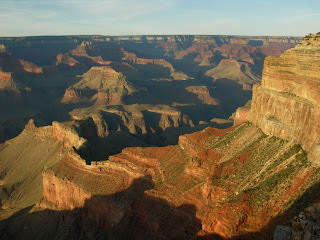 Our second day we got up early and hiked the Bright Angel Trail down into the canyon and out to the Plateau Point. This 12 mile round trip, dropped 3000ft in 3 miles along steep winding switchbacks. It was extremely hot. 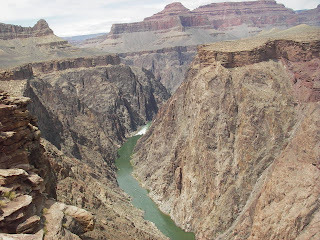 The views all along were amazing, but the Plateau point was the pinnacle with views of the river below and to our delight a bunch of rafts about to run a rapid. The rapid is apparently the most feared on the river…even from along way above (about 2 miles away) we could see the crashing waves. The canyon was full of wild life from Cheeky backpack raiding ground squirrels (who preformed the task like stealth ninjas), Lizards and beautiful Condors. 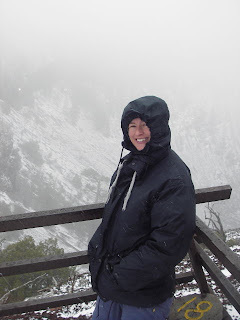 Then came tourist trap number 2 and Cheryl’s rant… We decided to go to the new Indian Skywalk, a glass bridge overlooking the Grand Canyon. The drive there wasn’t easy 45 miles each way of the interstate of which 14 miles was off road and I mean off road we drove at 15 MPH. We arrive excited to see the canyon as it appeared 100’s of other tourists.. picture this we cant see the Canyon and your in the middle of the desert. We go to the ticket desk ask for a Skywalk pass and we were politely told we had to buy a package.. which would cost at least $80 and would involve going to a ranch cowboy games, Indian ruins and a lot of other stuff we didn’t want to see. Can’t we just go to the skywalk… NO!! (and you can’t take cameras on the skywalk).. So back on the Dusty Road.. with a quick stop off at Hoover Dam… Dam great Engineering there! !